Property is suitable for light manufacturing, retail or warehouse use, previously occupied by Deanan Gourmet Popcorn Manufacturing. Note: Inventory list of manufacturing items that are available for purchase can be obtained upon request. Ample parking with a total of 20 parking spots. Signage is available. 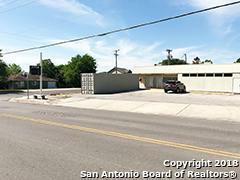 This building has great visibility and VIA route on property. Listing provided courtesy of Charles Jeffers of Dh Realty Partners, Inc.